Becca of The Daily Muse shared a photo of her workspace with a view. 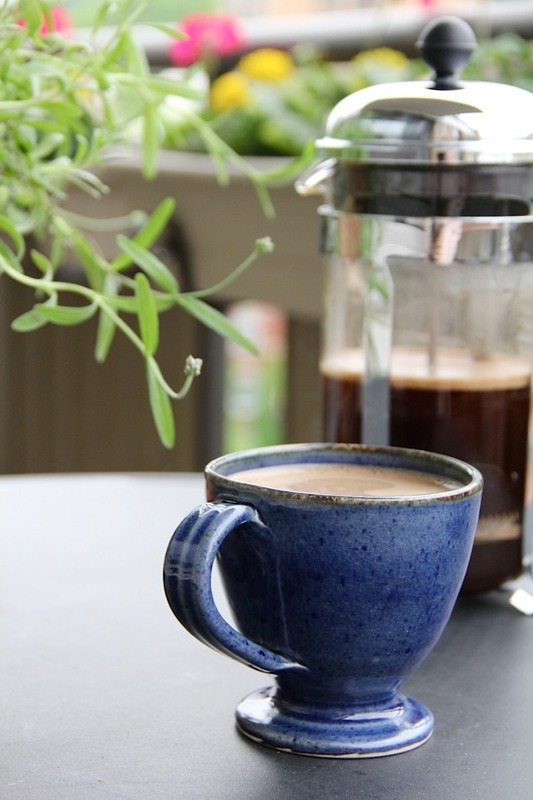 Vanessa of Hey, Lady Grey snapped a pic of one of her regular cups of coffee. 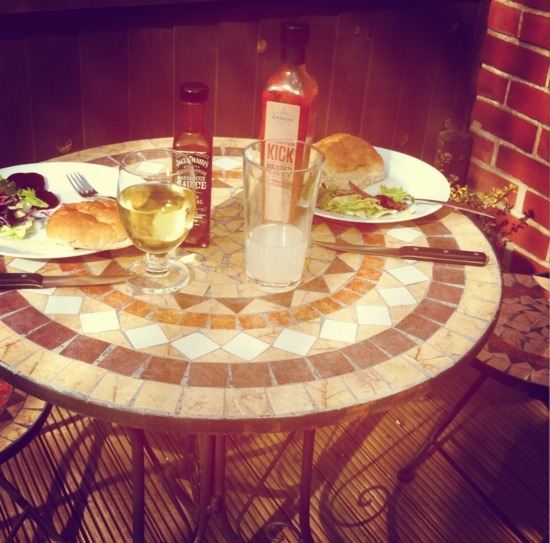 Rebecca took a photo of a sunny spot in her garden. And Hollie of n'est-ce pas? 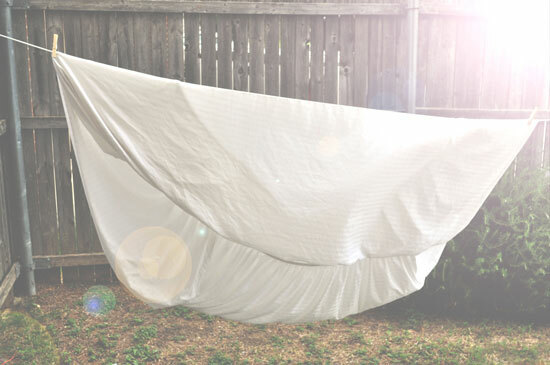 sent me this picture of a sheet drying on the clothesline. If you want to share one of your home photos, just leave a link below! I'll announce July's photo theme next week. 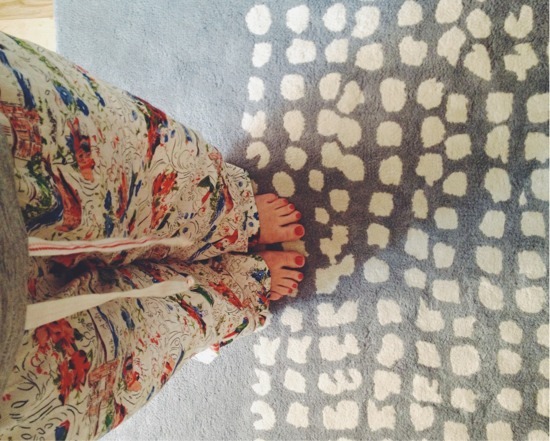 Love all these simple, little slices of home (and your rug is also marvellous!). Hooray for MORE time at home, weekends coming. These are all such cool shots!!! I really love your carpet! oh i love that last pic! very dream-like/ethereal. I'm obsessed with your pajama pants! 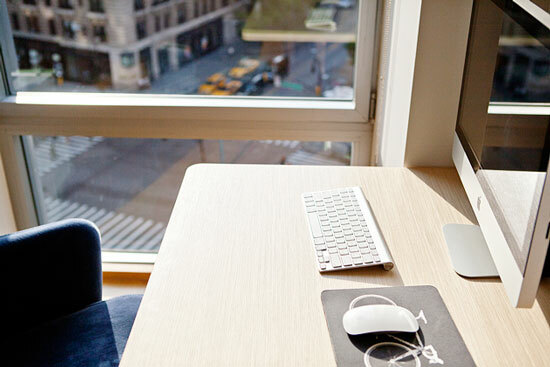 I'm loving all of these, but especially the workspace shot from Daily Muse! ps. thank you for featuring mine!